Home Looking for Owner of New Construction Carriage Home quaintly located between State College & Bellefonte. 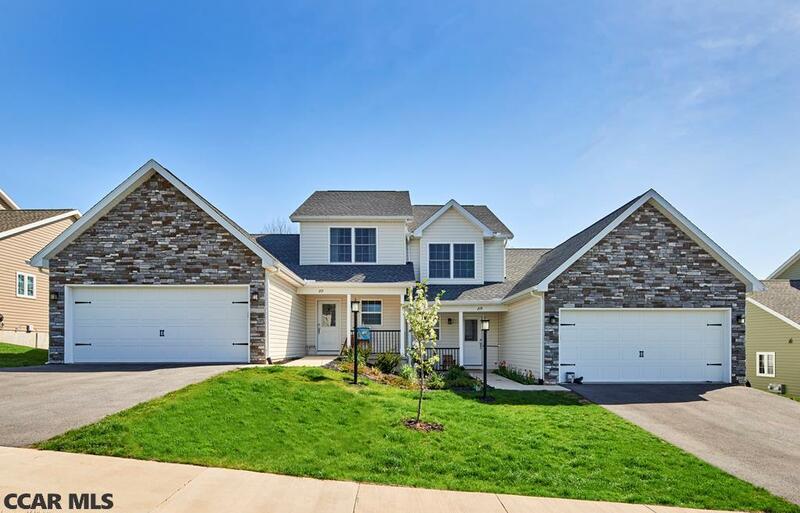 This Luxury first floor master style home boasts top grade finishes w/an affordable price. The entire main living space has solid hardwood flooring. Kitchen has full overlay cabinetry, dovetail drawers, soft action close, granite countertops, stainless steel gas appliances, a large island & more. Great Room boasts vaulted ceilings, recessed lighting, gas fireplace w/patio door & large deck. All bathrooms have porcelain tile flooring, comfort height vanities & toilets, stylish countertops & custom colors. Three bedrooms boast textured carpeting & overhead lighting. Other features are 2 Car garage & full basement w/bath roughing & walkout door. Come visit for even more surprises. This home has amazing views & is located 2 miles to I99 to be at stadium in minutes or same distance to Victorian Bellefonte, or only 8 miles to downtown State College. Find out more today!